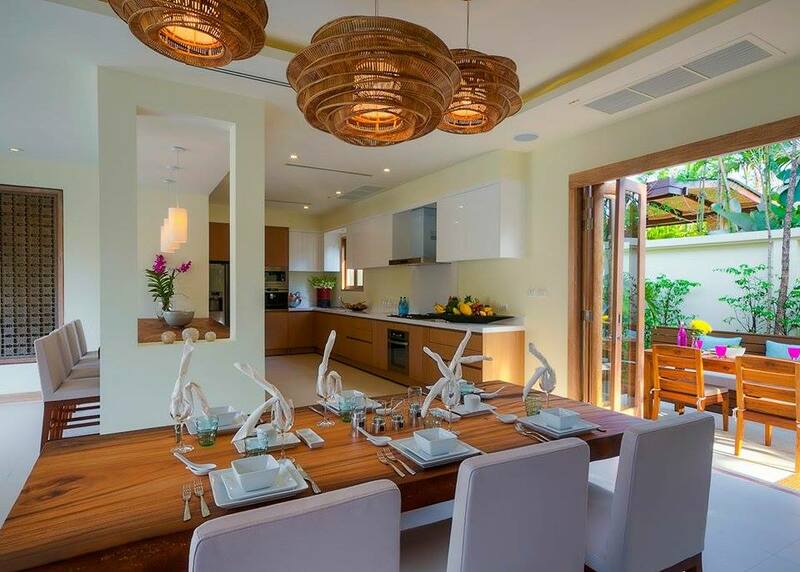 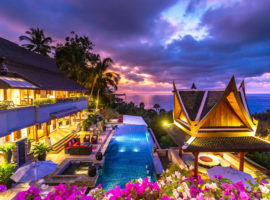 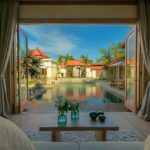 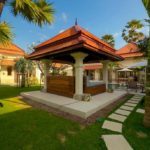 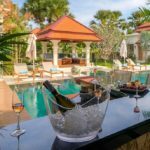 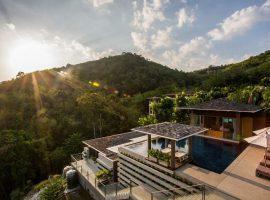 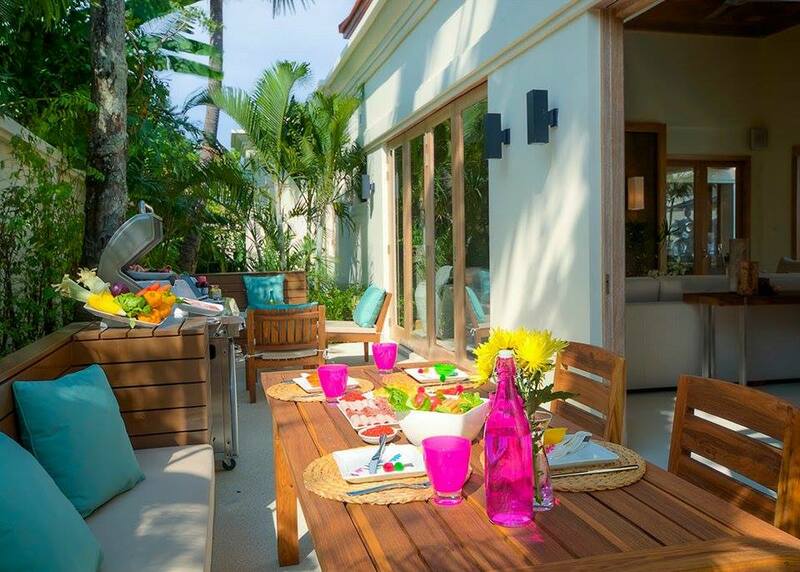 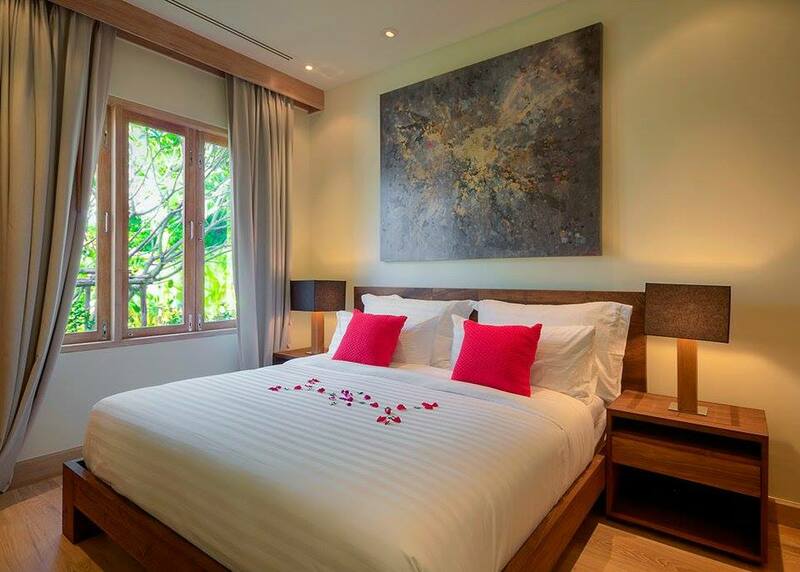 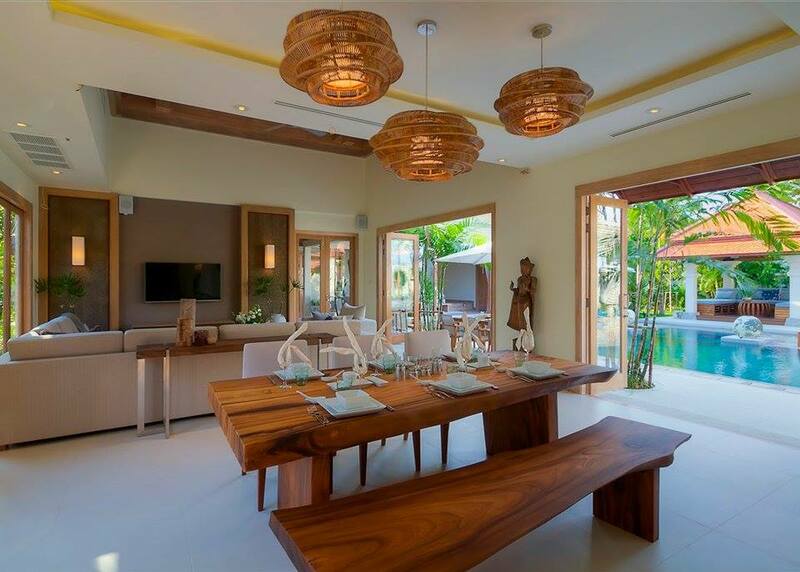 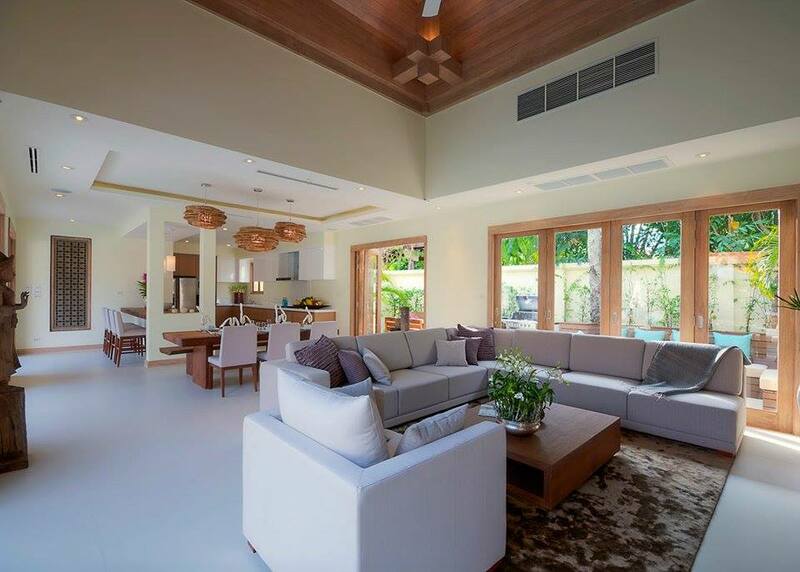 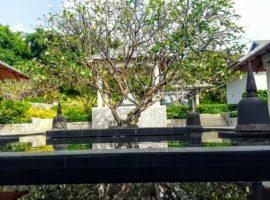 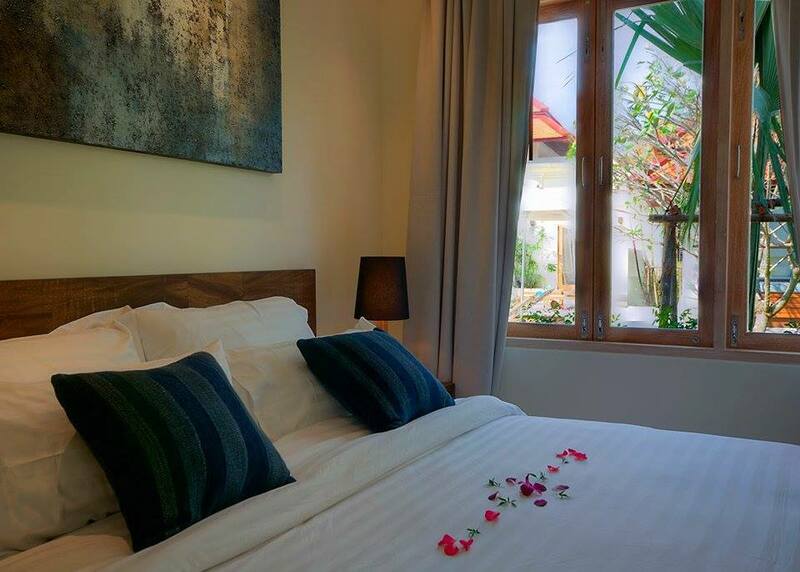 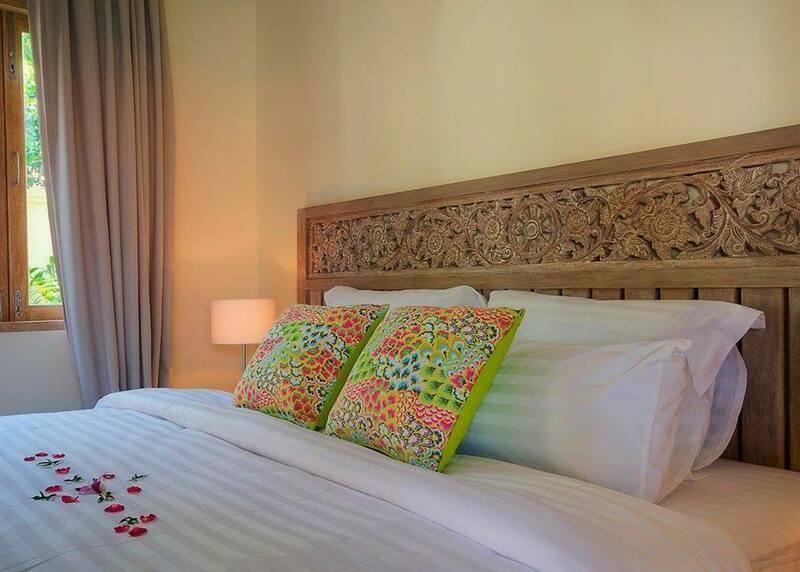 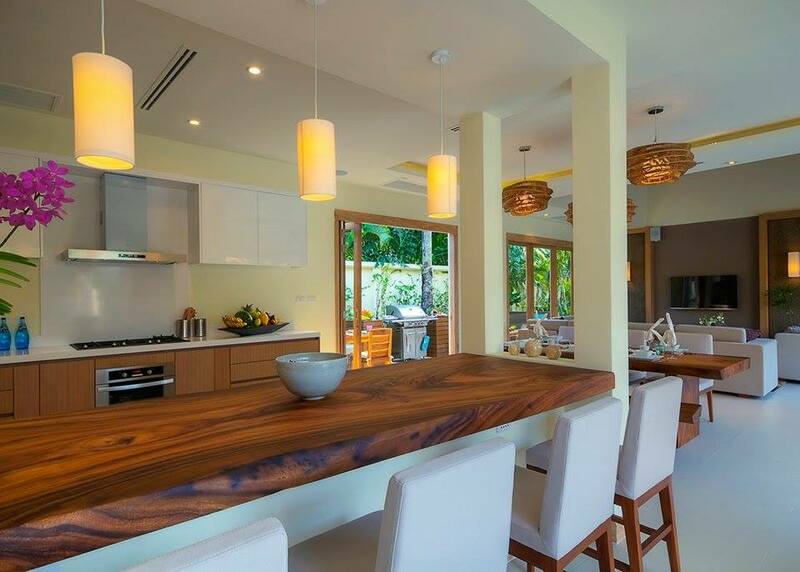 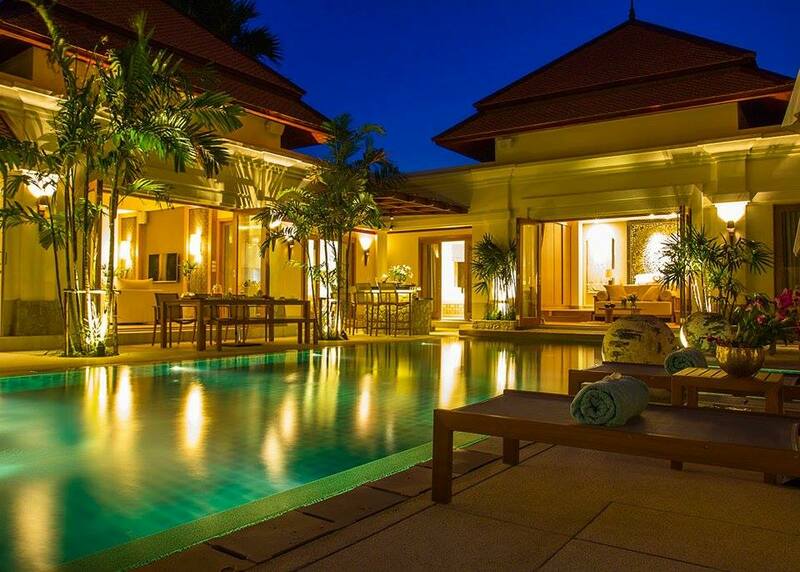 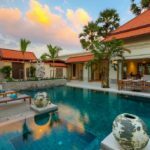 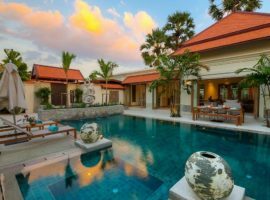 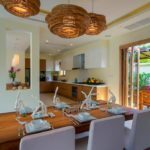 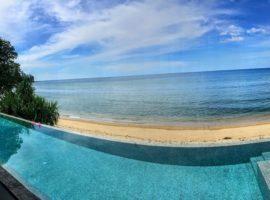 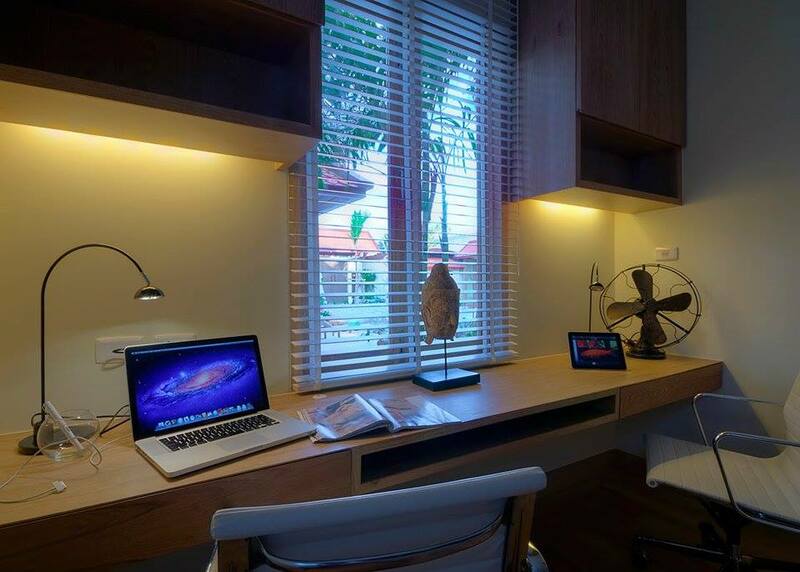 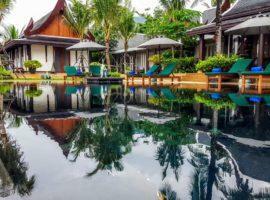 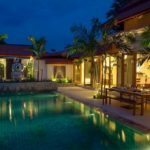 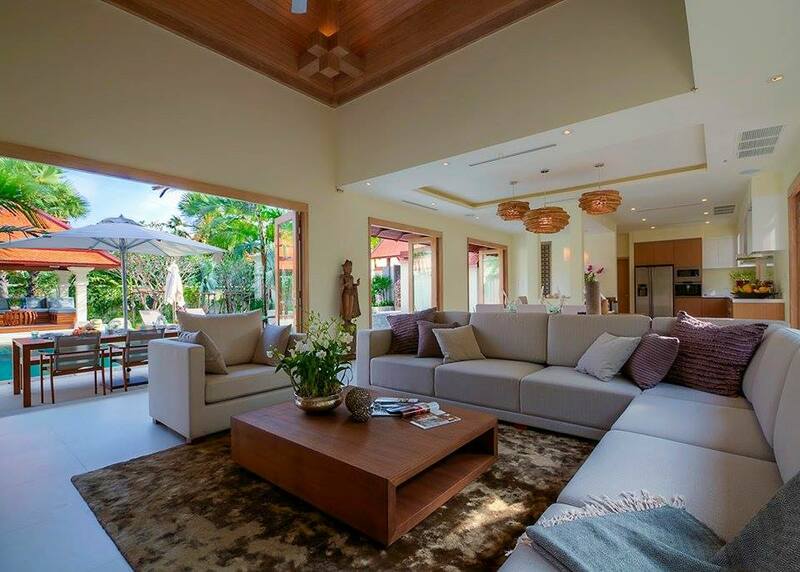 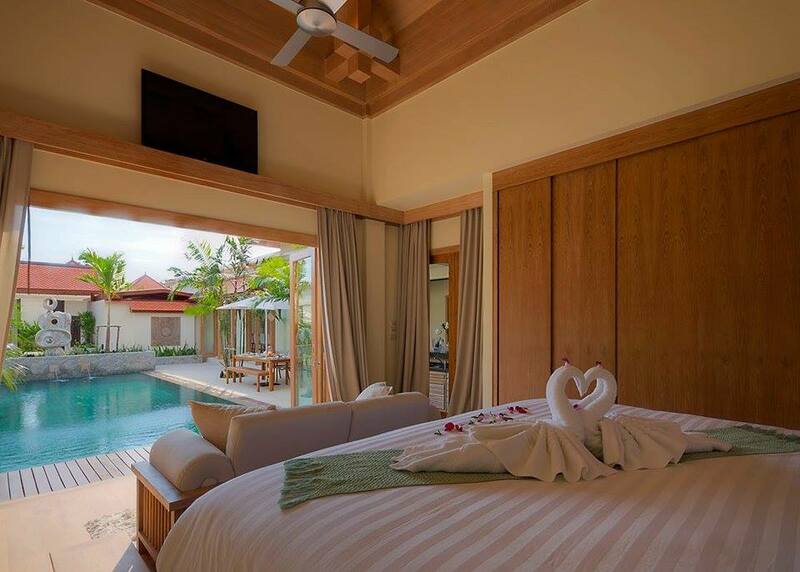 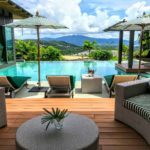 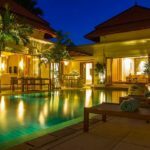 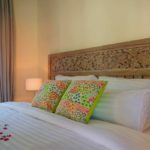 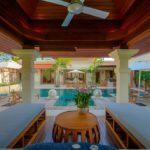 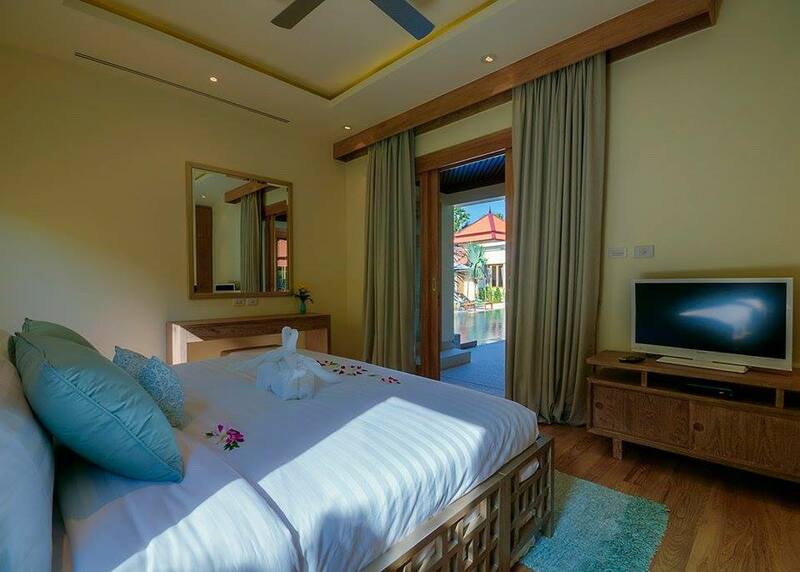 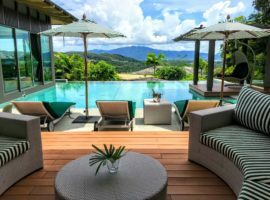 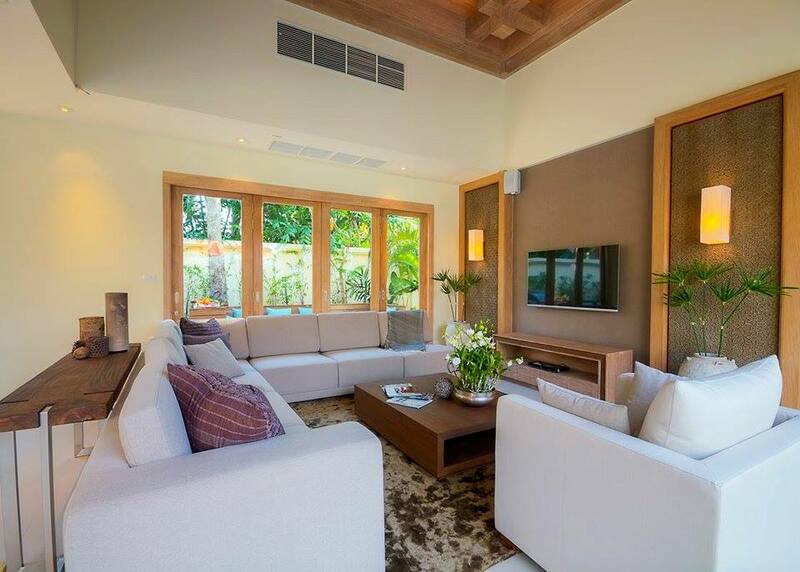 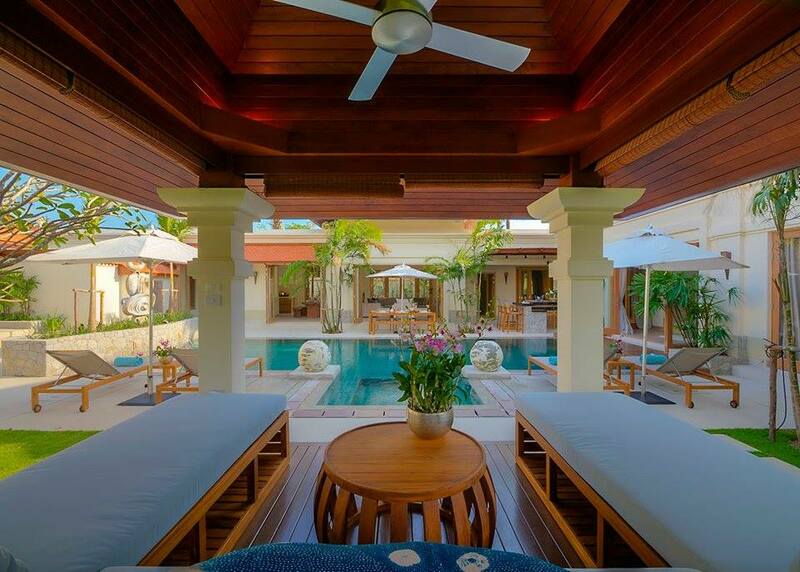 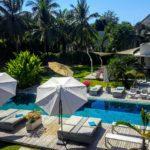 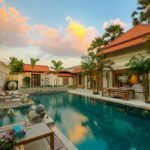 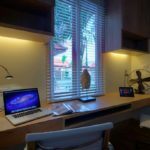 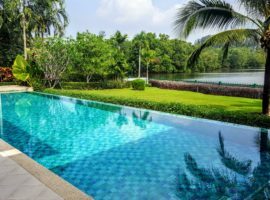 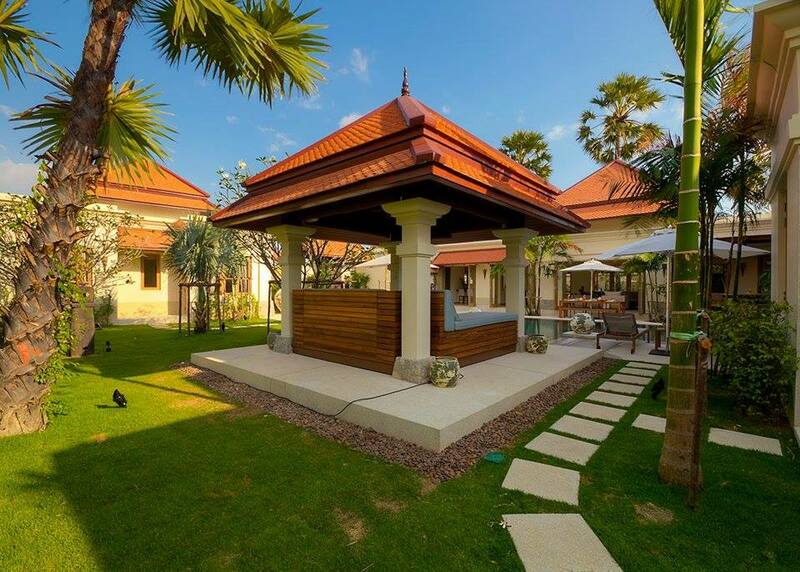 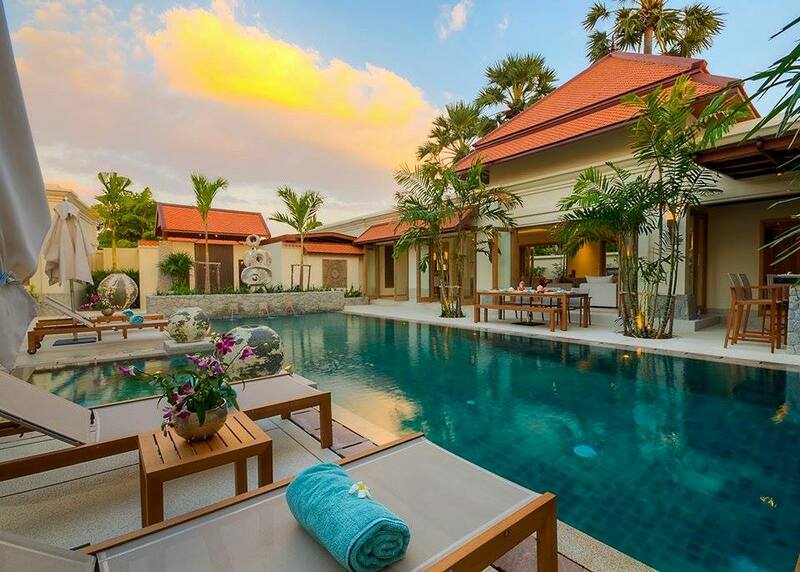 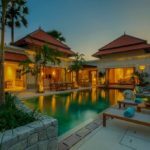 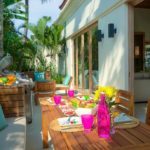 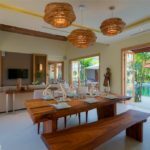 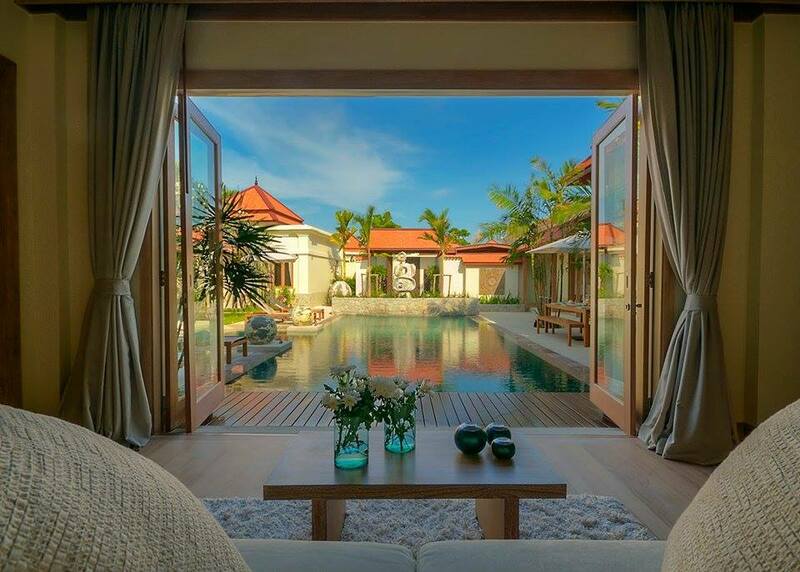 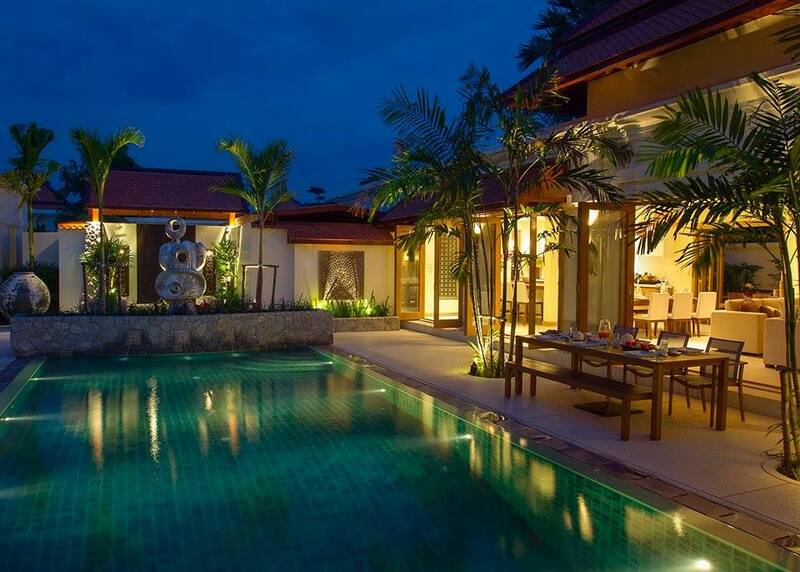 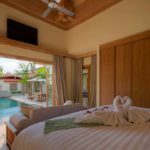 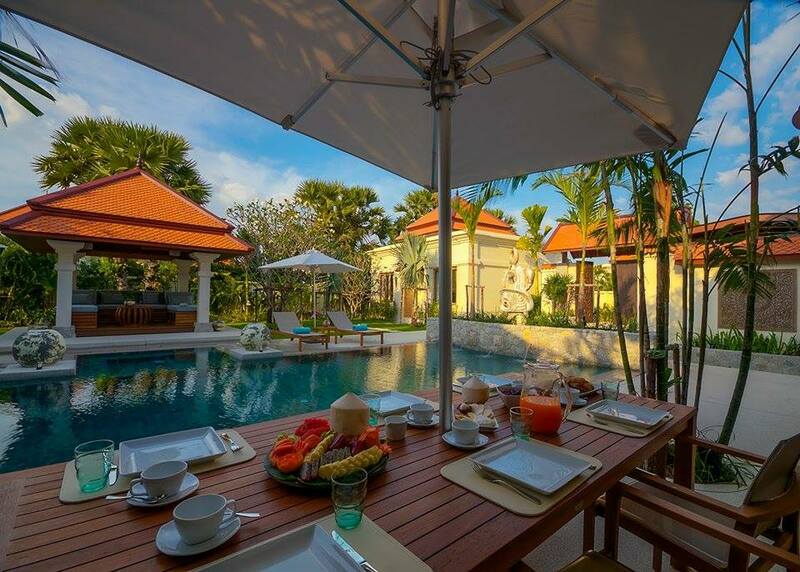 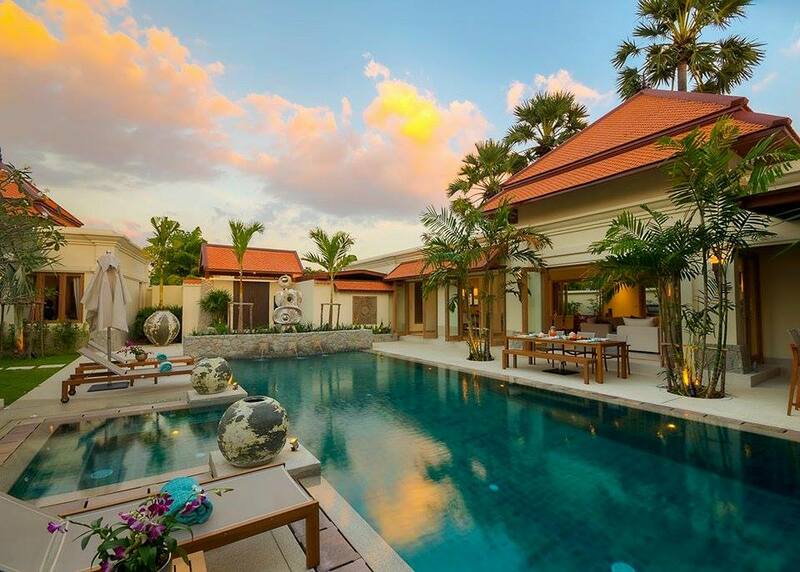 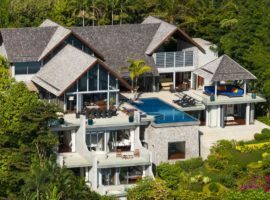 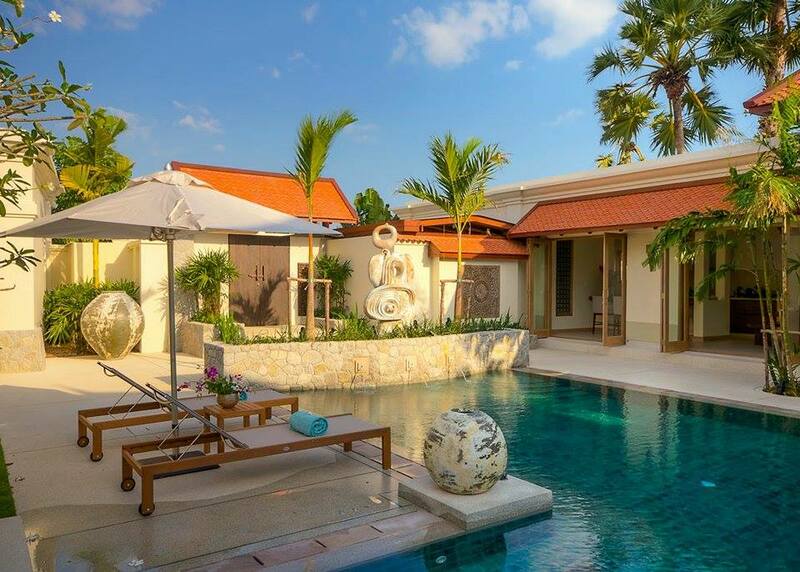 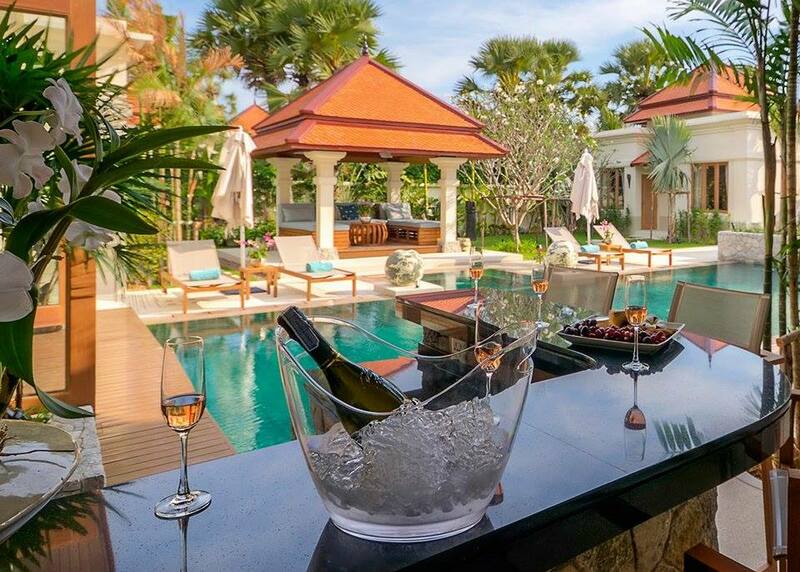 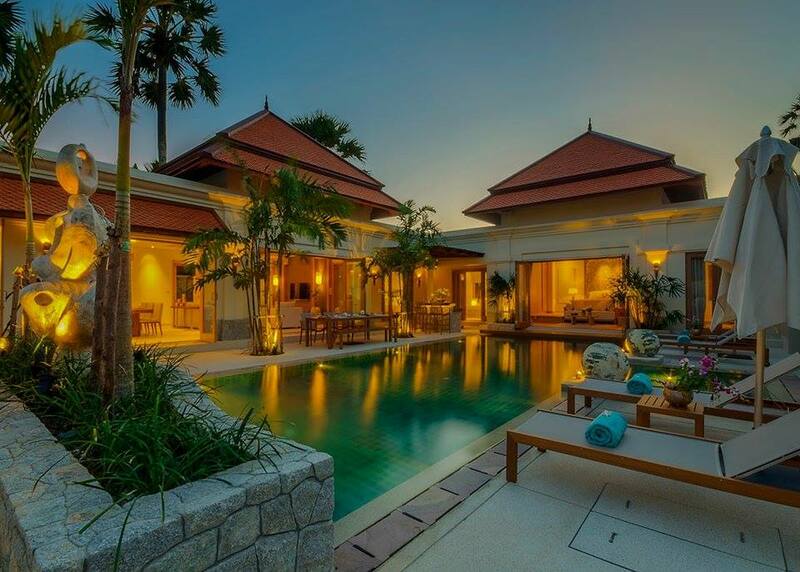 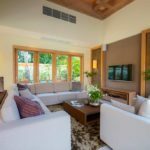 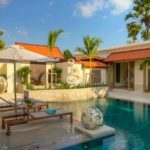 The villa is located in the popular Sai Taan complex, built in traditional Thai style with elements of modern style. 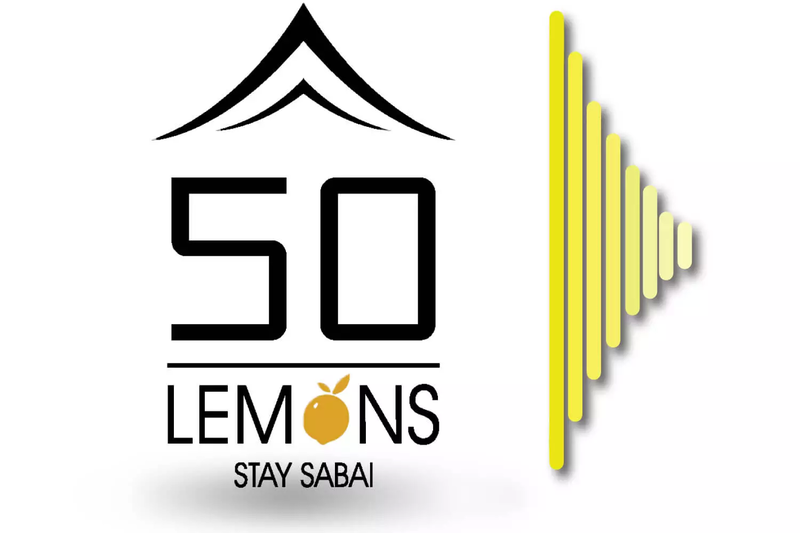 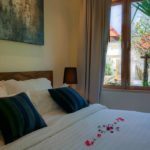 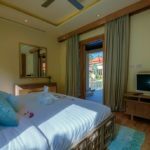 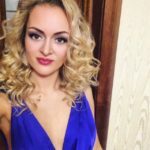 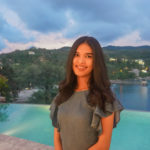 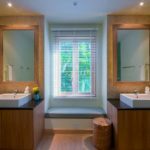 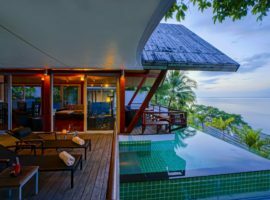 Three large bedrooms, each with its own bathroom, are located in the main building – “L” shape, as well as 2 additional bedrooms with a separate garden and with a private bathroom and a rain shower. 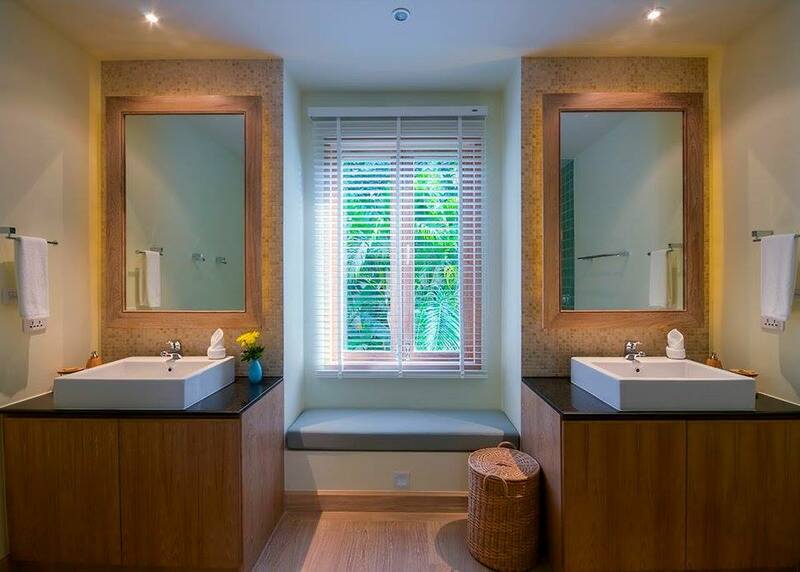 In the kitchenette and the pool there are 2 more toilets. 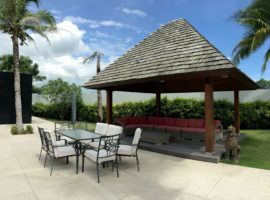 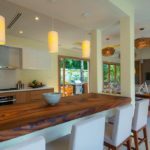 The double kitchen and barbecue area are designed and equipped for those who like to cook or can entrust this work to the staff (meals with prior notice).